Kabarett Rhododendron-Hybrid Rhododendrons- Rainer Rhododendrons Nursery, Washington. 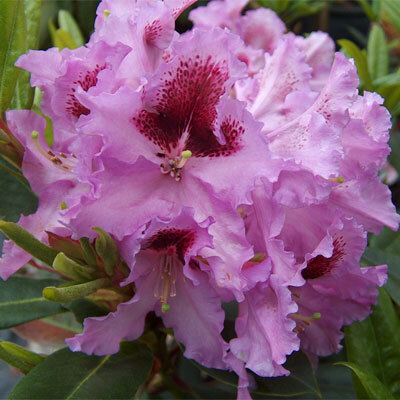 Kabarett Rhododendron has flowers that are purple-pink with a touch of lilac spotting. Well rounded plants with deep green foliage with reddish stems.